The DriveWorks CPQ Template is a series of projects and templates that when combined, create a powerful CPQ solution. It’s a starting point for any DriveWorks customer and it can be used as a complete CPQ solution or taken apart to use individual features and functionality. With the DriveWorks CPQ Template you can select which products can be configured, using existing DriveWorks product configurators, apply pricing and decide what data to pass to and from any other company systems such as ERP and CRM. 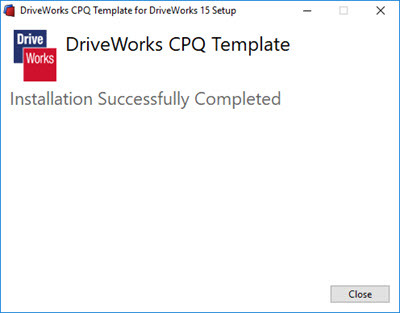 The template is distributed using the DriveWorks CPQ Template Installer and it contains everything you need to get started! 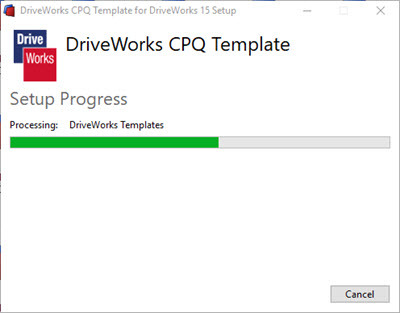 1 – Download the DriveWorks CPQ Template installer. 2 – Double click the installer. 3 – Agree to the licence terms and conditions. 5 – Once it’s finished installing, press ‘Close’. 1 – Open DriveWorks Administrator. 2 – Create a new Group (See the Group Wizard). 3 – Pick the DriveWorks CPQ Template and press ‘Next’. 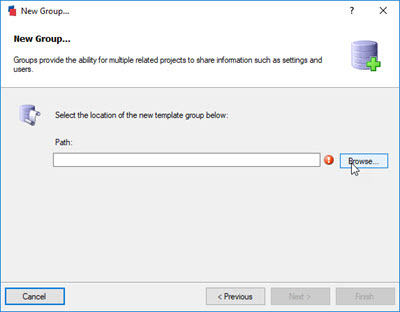 4 – Select the location to save the new template Group and press ‘Next’. 5 – The DriveWorks Group Wizard will extract the DriveWorks CPQ Template to the location specified. 6 – Once finished, press ‘Finish’ and log into the Group. 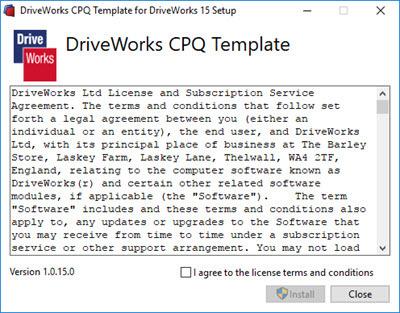 7 – The DriveWorks CPQ Template is now ready to use! 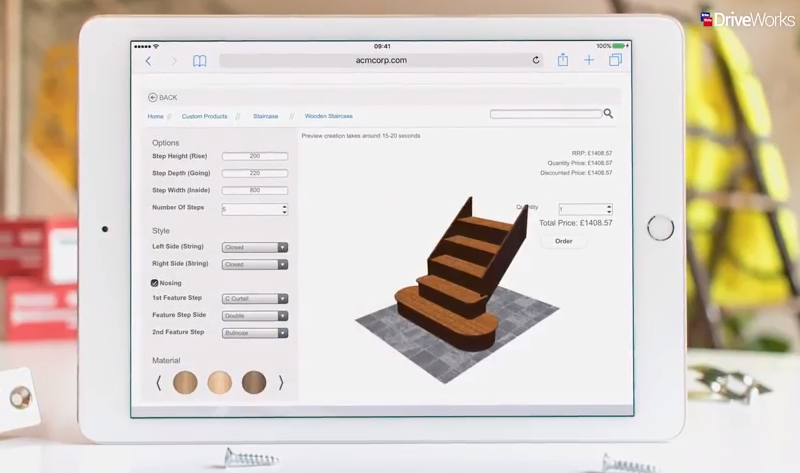 Simply create a new Specification and select the Dashboard Project. 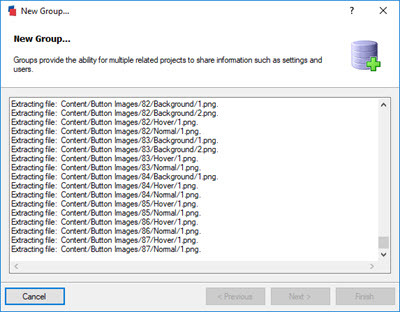 8 – The DriveWorks Individual Group created should be upscaled to a Shared Group. Inside the DriveWorks CPQ Template Implementation there is a view called Setup. The Setup view allows you to modify settings unique to the DriveWorks CPQ Template such as: font colours, corporate branding, currency, source data and web addresses. 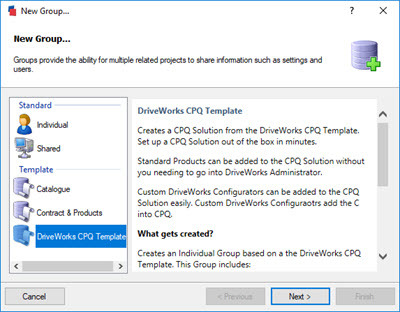 More information about the DriveWorks CPQ Template can be found in the DriveWorks Pro Online Help File.